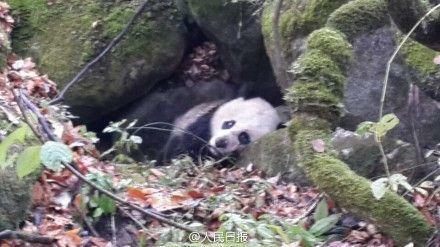 2014-11-17, The staff working in Sichuan Qingchuan Tangjiahe National Nature Reserve detective an injured wild Giant Panda nearby, it’s intestines exposed,Giant Panda Seeking Help From Human, The staff Think the Giant Panda could be attacked by a group of yellow-throated marten, This Wild Giant Panda now is curing by the medical team. This Article is Edit by Yzenith China Facts Blog. Yzenith also have a lot of great Simply Easy Chinese Recipes, Ancient Traditional Chinese Recipes.